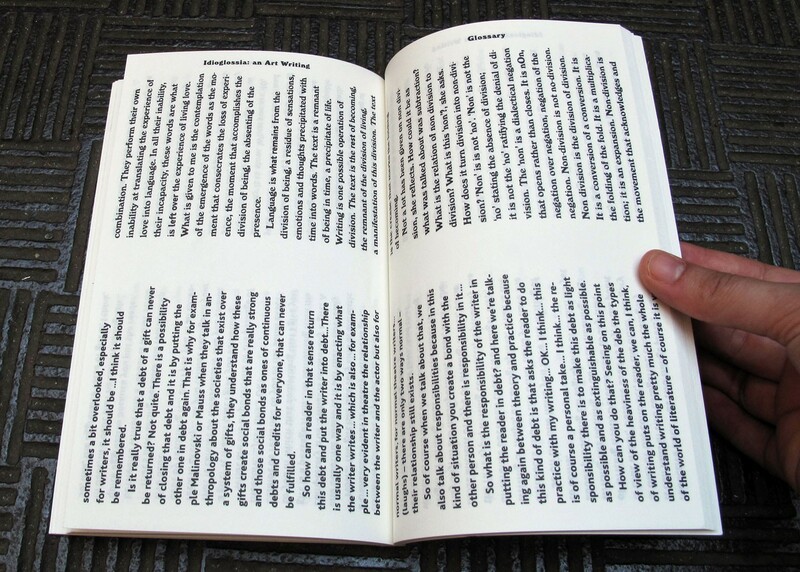 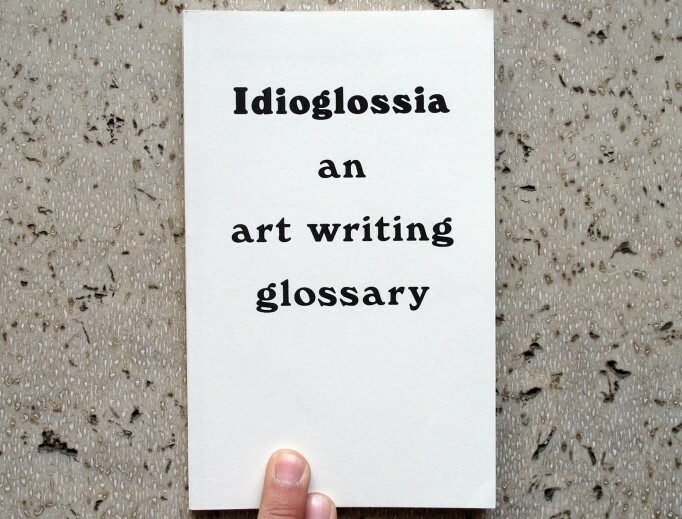 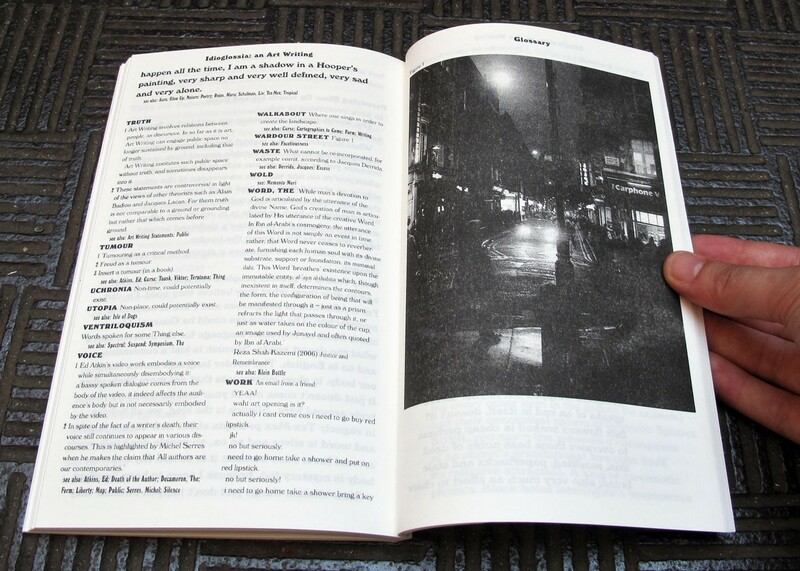 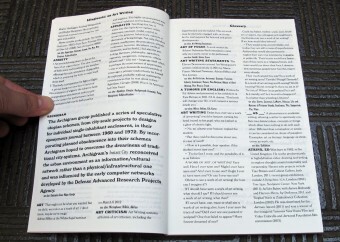 Idioglossia – An art writing glossary, Joseph Noonan-Ganley (Ed. 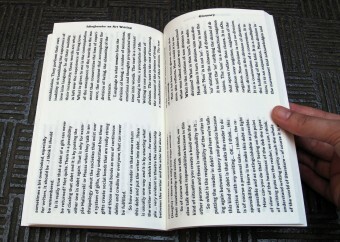 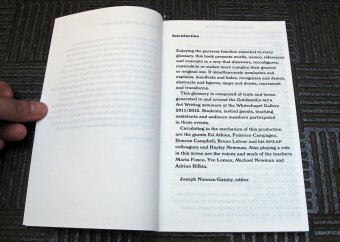 ), published by The Art Writing Guild. A glossary of texts and terms generated in and around the Goldsmiths Art Writing MFA seminars at the Whitechapel Gallery 2011/2012. 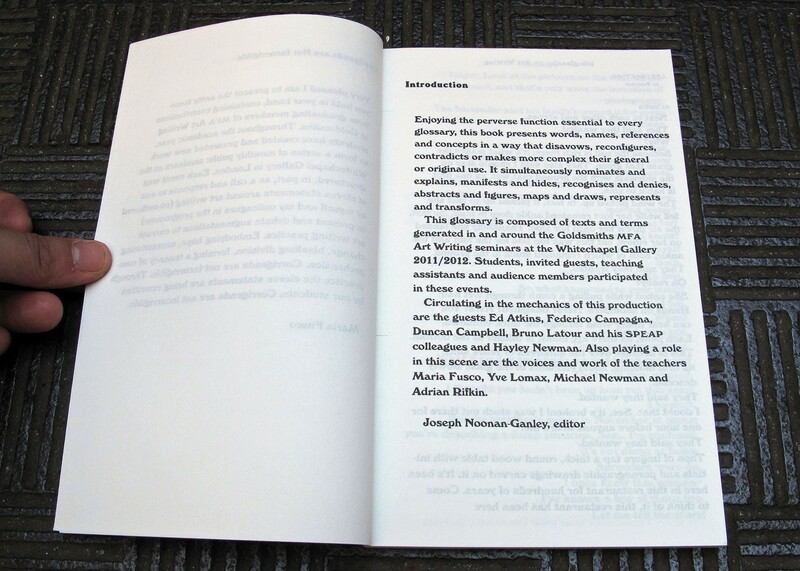 Contributions from Ed Atkins, Hannah Black, Federico Campagna, Joseph Fletcher, Mandi Goodier, Rebecca LaMarre, Julian Lass, George Major, Amélie Mourgue d’Algue, Mary Rinebold, Maru Rojas, Daniel Rourke, Liv Schulman, Beatrice Schulz, Linda Stupart and Iris Tenkink.